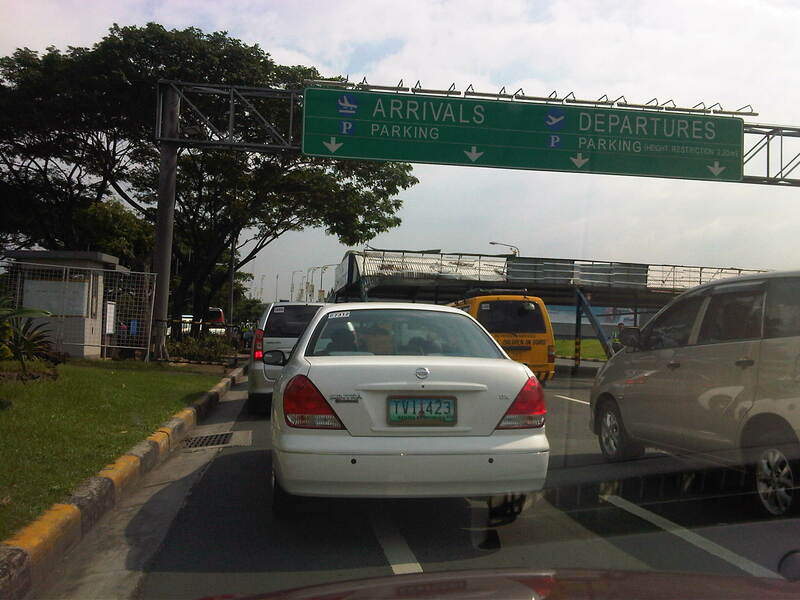 I had another unpleasant experience parking at NAIA Terminal 3 just before Christmas. It seems its getting more difficult to park at the airport every time and authorities have yet to address the parking problem despite the solutions staring them in the face. 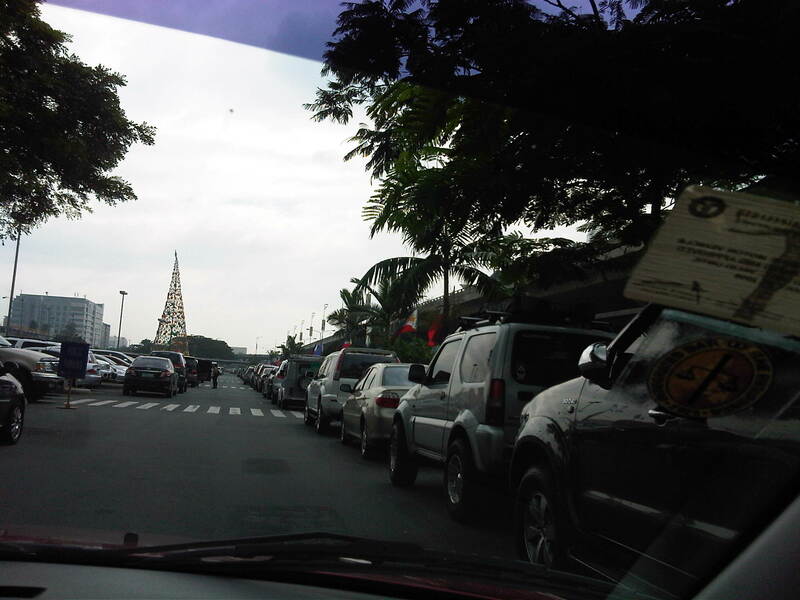 I would like to believe that the typically higher demand for parking during the Christmas season can be accommodated if the available parking space can be managed and equitably allocated for users of the terminal. 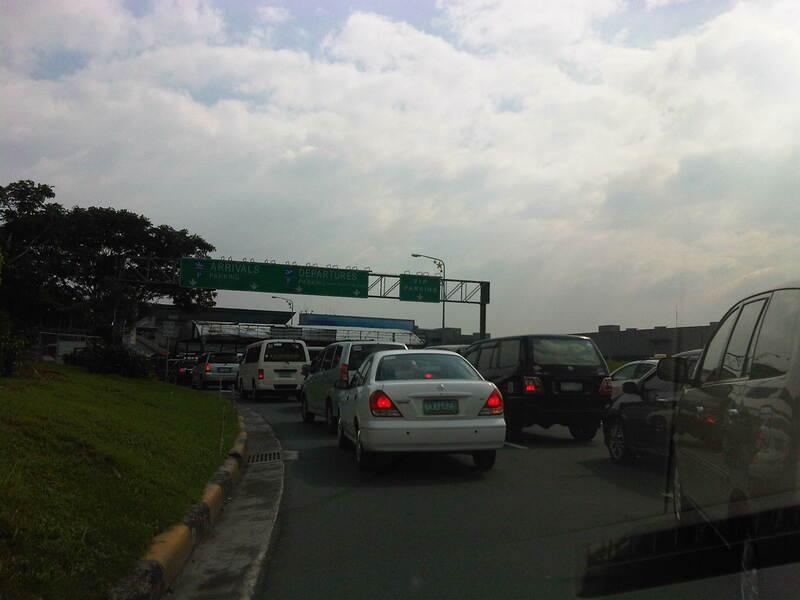 Queue at the entrance to the airport – the guards were still inspecting each vehicle but they had to wait for these to inch towards them at the inspection point. Everyone had to wait for the security to wave them through to to parking lot. Others were content with staying inside their vehicles while waiting to pick-up their passengers. In the end, I had to rush to the airport terminal after parking my car as my wife’s plane was already arriving. I wasn’t able to take more photos of the parking situation that day but knew I had other opportunities to do so in the near future. That future was when I was back again recently at Terminal 3 when I drove someone to the airport for an outbound flight after the Christmas break. 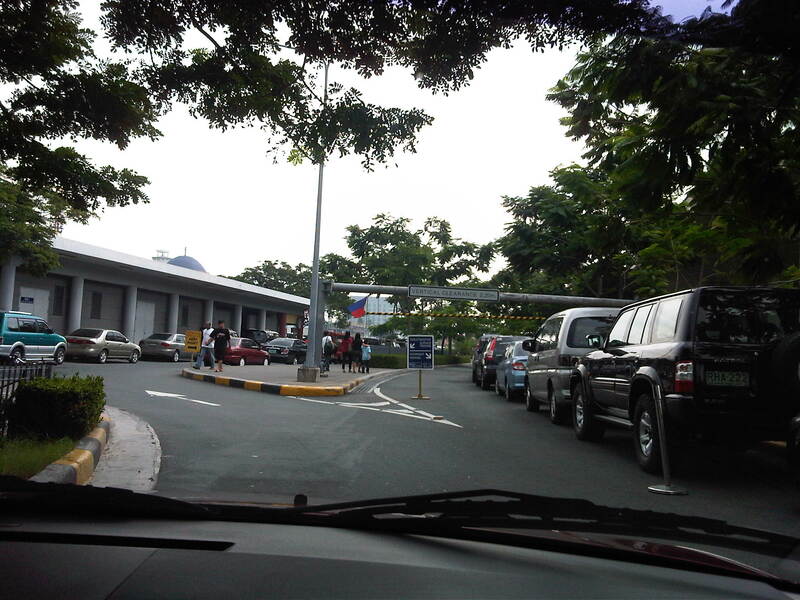 The queue at the gate was much better and we were able to enter the parking area without a glitch. There were many spaces available but these were mostly along the fringes of the lot, with some requiring a few minutes walk to or from the terminal. View from the inspection gate with the on-ramp for the departure level to the right and the driveway to the parking and arrival areas to the left. The way to the arrivals driveway (right) and the parking lot (left) was unlike the condition shown in the earlier photos taken just before Christmas. There was a sign stating that the overnight parking area was full. The overnight parking area for those who opt to leave their vehicles until their return is actually the driveway on the right side of the photo that eventually leads to the on-ramp for the multilevel parking building that until now has not been opened for various reasons. To the left is the driveway to the parking lot. 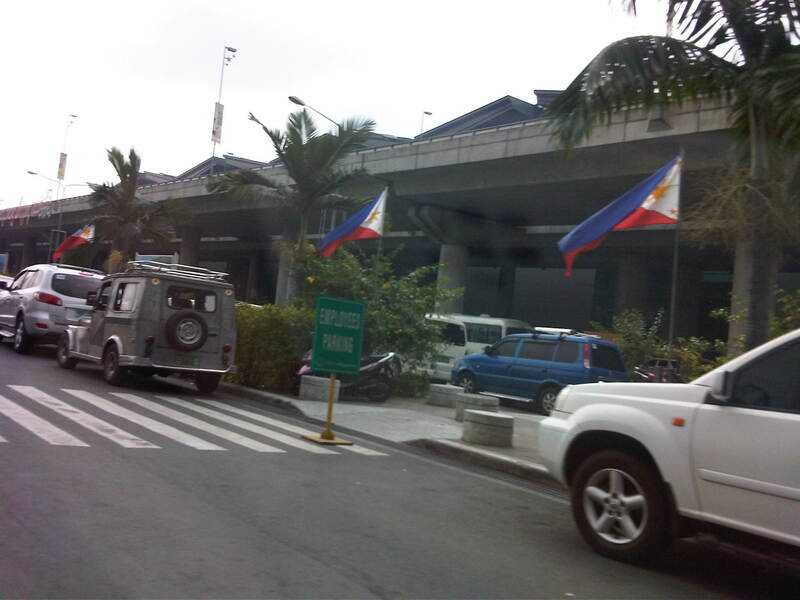 Those vehicles lined up in the photo are not part of a queue for arrivals. These are parked along the driveway designated for overnight parking. 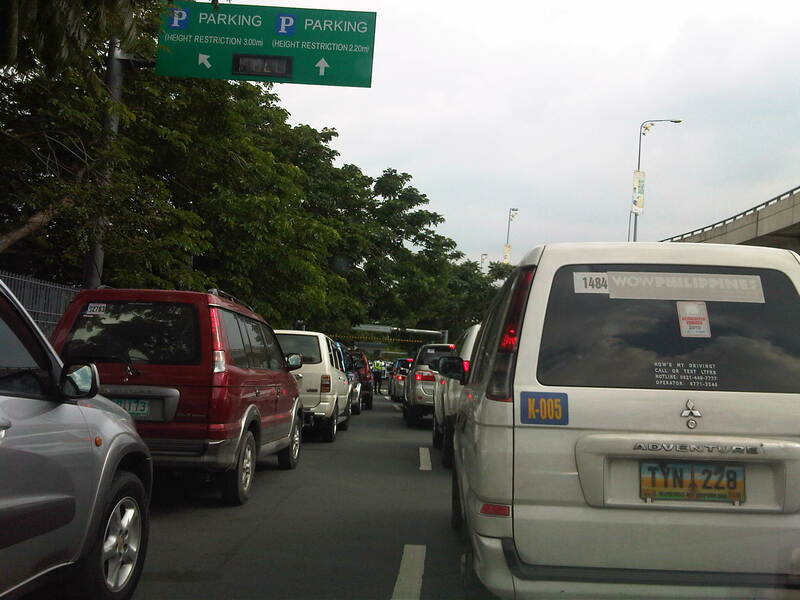 Meanwhile, these are vehicles at the parking area designated for the general public. There seems to be a lot of signs for “Employees Parking” when airport authorities should prioritize space in this area for passengers and well-wishers. There are other under-utilized areas better suited for employees. I also wonder just how many employees actually have cars. Turning towards the exit from the parking facility, one is greeted by more vehicles parked along the curbside (both sides of the driveway, actually). The fence separates this driveway from another that leads to the ramp to the multilevel parking building that is visible on the right side of the photo. This latter driveway also has vehicles parked along its length, which is allocated for overnight or long term parking. Above is the ramp from the departure level. 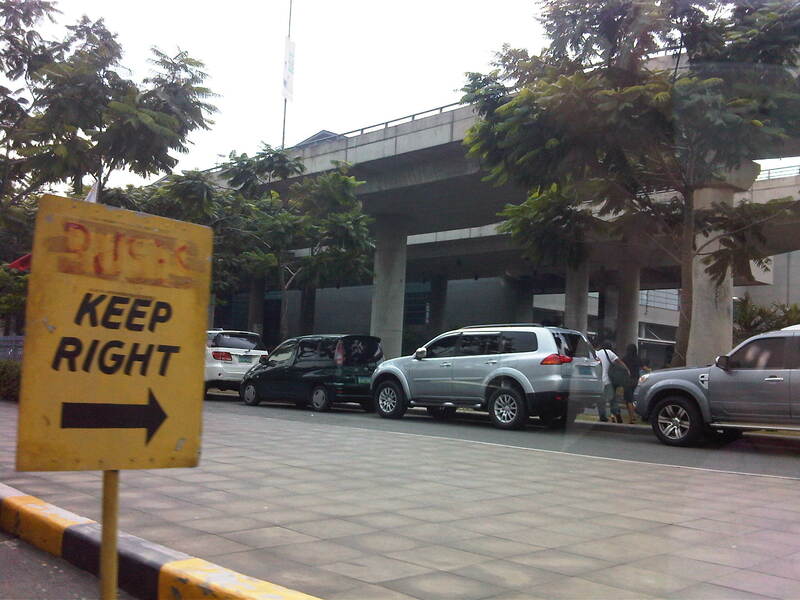 In this photo, the ramp to the multilevel parking facility can be seen clearly and is occupied by parked vehicles. 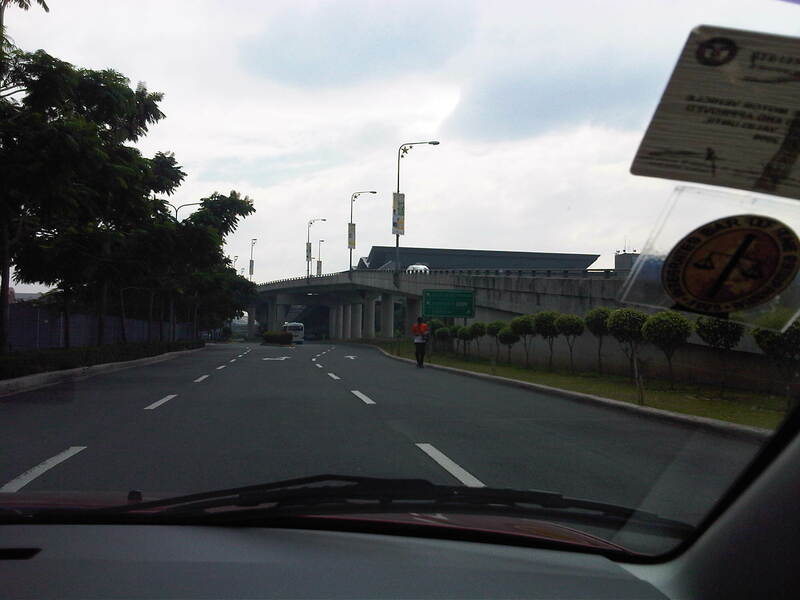 I still wonder how long it would be and what it would take before NAIA Terminal 3 finally makes the parking building available for use of the general public when, according to some sources, there are no structural issues barring the use of the building. Meanwhile, there is already an obvious demand given the evolving preferences of travelers with their own vehicles. Motorcycle parking at the fringe of the parking. 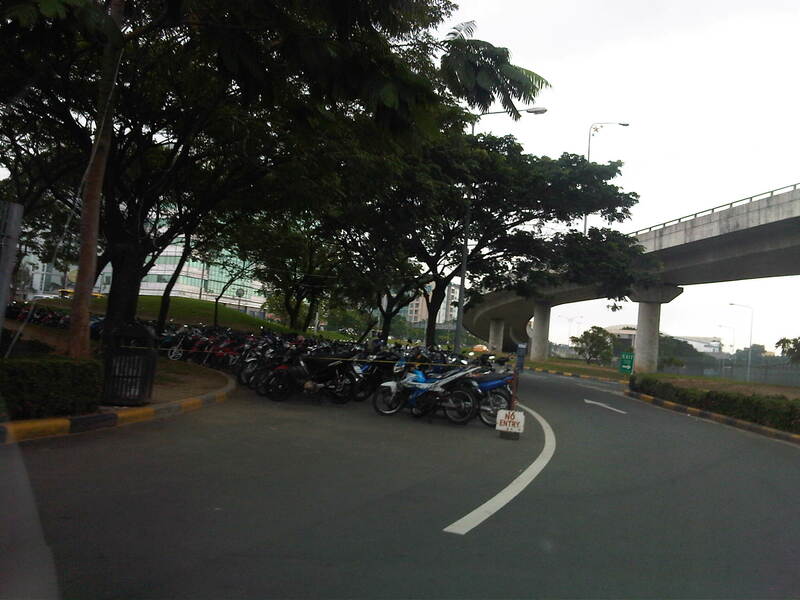 This is actually another driveway utilized instead for motorcycles. 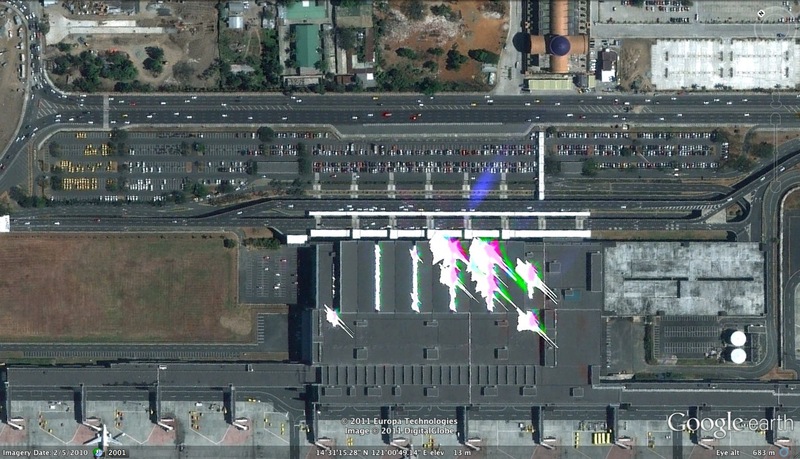 The layout of the open parking lot at Terminal 3 can be seen via Google Earth as shown in the image below. 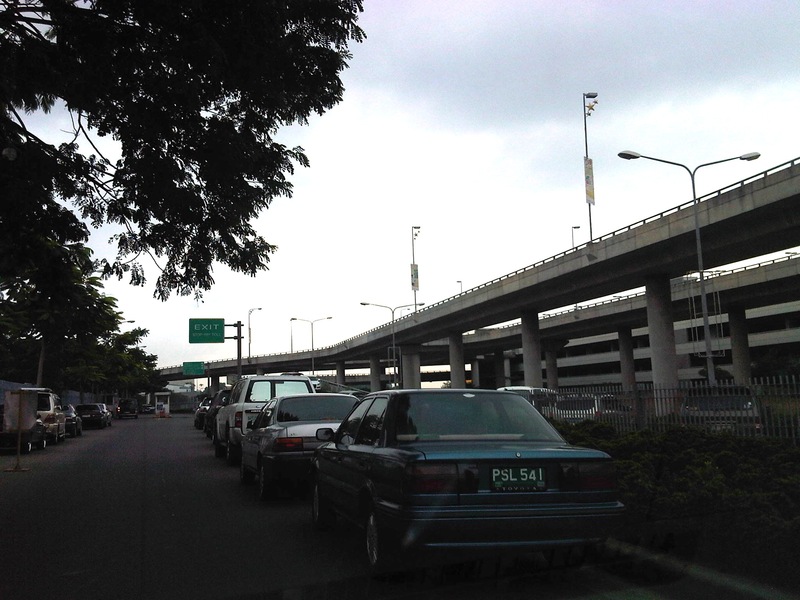 The area designated for public parking (center to right before the off ramp from the departure level) is conspicuously full while there seems to be a lot of spaces available in the area allocated for taxis and airline and airport employees (left in the image and prior to the on ramp to the departure level). There is also a relatively spacious open lot to the left and adjacent to the terminal building itself. This seems to be reserved for employees (again?) and VIPs. While the last area may be allocated for employees and VIPs, I would like to point out that more parking spaces should be allotted for travelers and well-wishers. Questionable for me is the allocation of so many spaces for taxis and vans that seem to be using the lot as their depot. I seem to remember that these public utility vehicles should have their garage somewhere and not necessarily at the airport where they seem to be lording it over “regular” taxis. These airport taxis charge significantly higher if not exorbitant rates compared to the typical taxi and to some, their preferential treatment at the airport is at the expense of passengers and well-wishers who certainly deserve better public transport service. 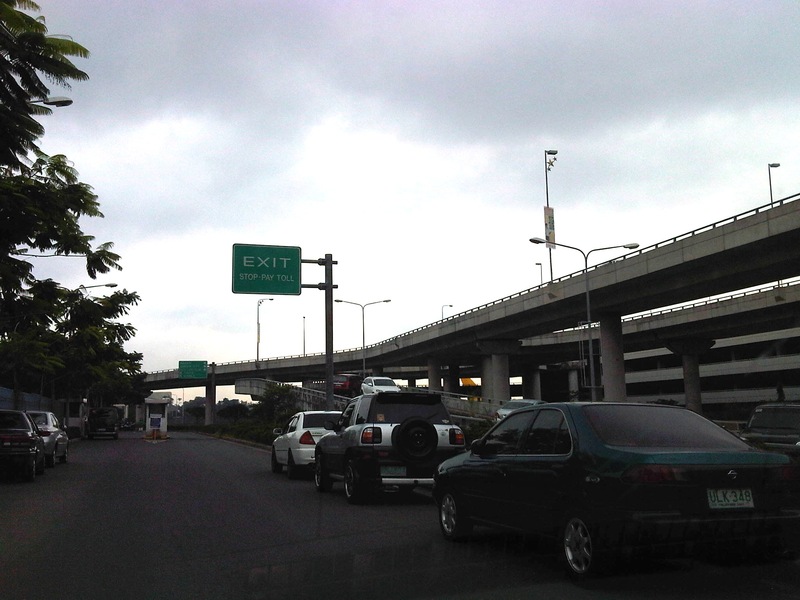 In the image above, the building with the light-colored roof to the right of the terminal building is a multilevel parking facility. The parking building is directly connected to the terminal and is accessible via the southeast wing of the terminal. I am not aware of the capacity of this facility but based on what one can see from the outside, its 5 levels should be able to accommodate quite a lot of vehicles and offer other opportunities for business (e.g., car wash, small shops, etc.) much like what is already available in similar facilities found in shopping malls. 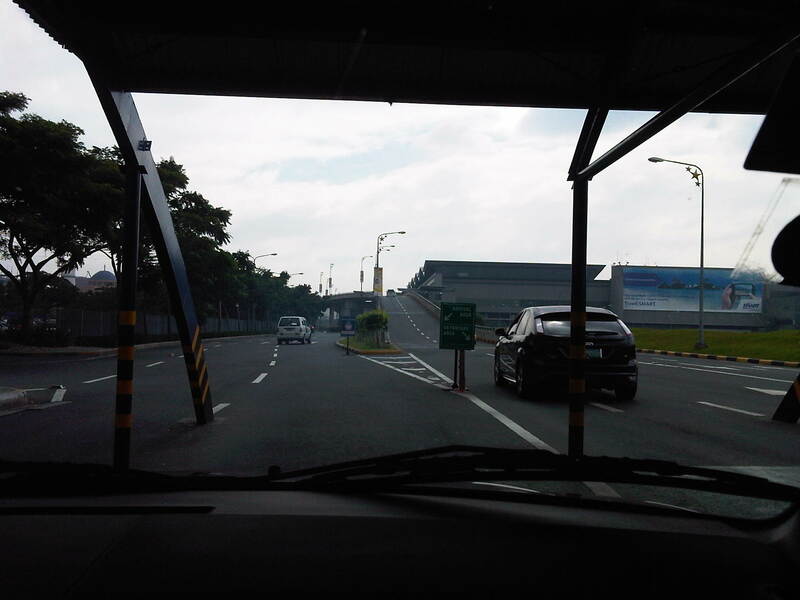 By d0ctrine in Airports, Infrastructure, Parking on January 3, 2012 .